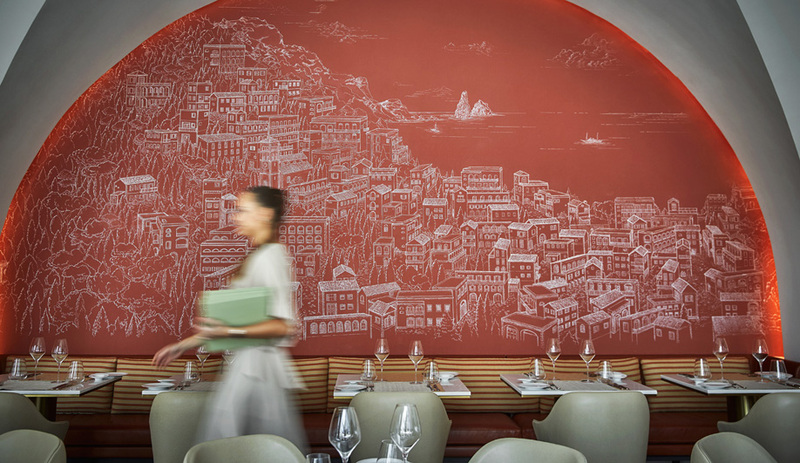 Energizing outdoor spaces in New York, Edmonton, Groningen and other cities, these colourful architectural pavilions – some summer-long, others permanent – bring out the kid in everyone. 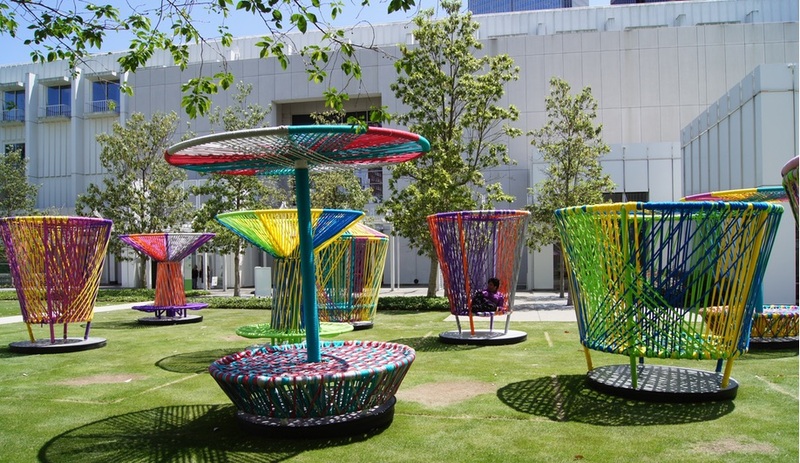 This summer the High Museum of Art in Atlanta has activated its Sifly Piazza with these colourful, kinetic pieces by Mexican designers Héctor Esrawe and Ignacio Cadena. 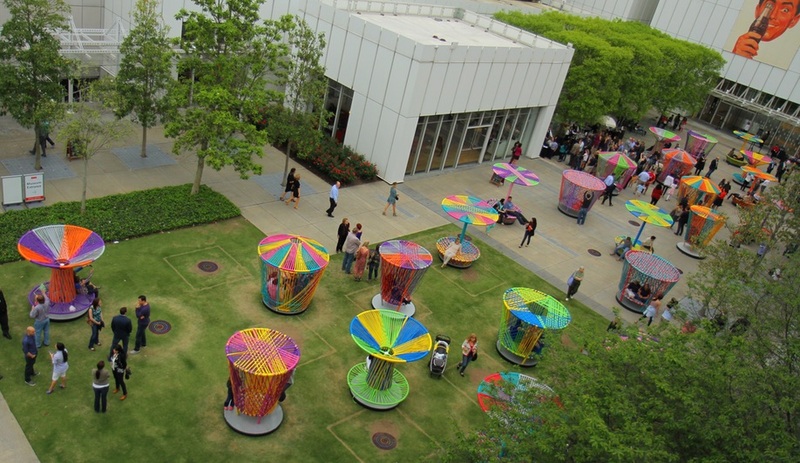 More than 30 spinning tops, wrapped in multi-hued flat nylon rope, are on site until November 15. 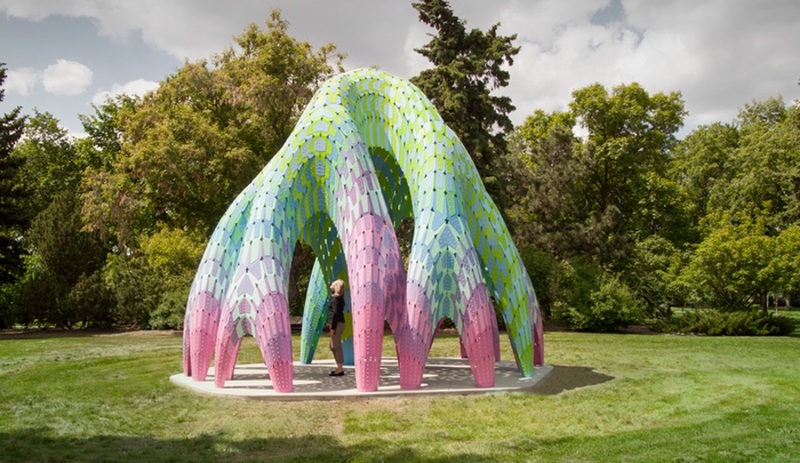 This permanent pavilion is just one part of the revitalization of Edmonton’s Borden Park, which is also home to a stunning public washroom by gh3. Formed from digitally fabricated aluminum shingles, the biomorphic structure borrows its colour palette from the surrounding landscape, exaggerating the natural green tones. 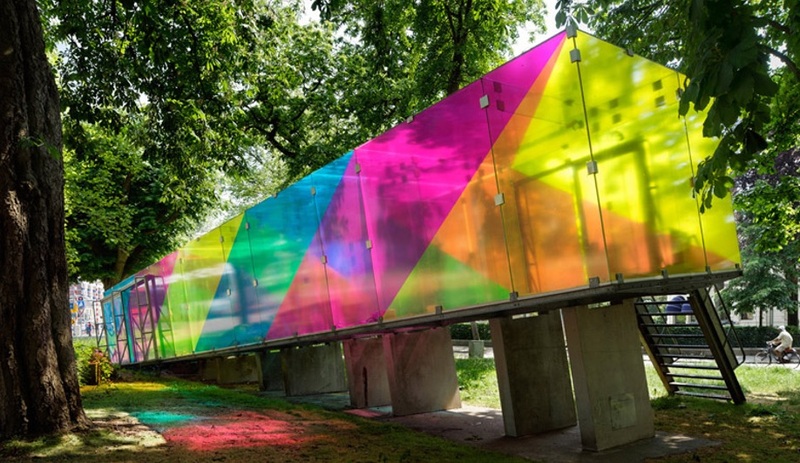 The Rotterdam design studio Shift has injected Groningen’s Tschumi Pavilion with a major shot of colour. 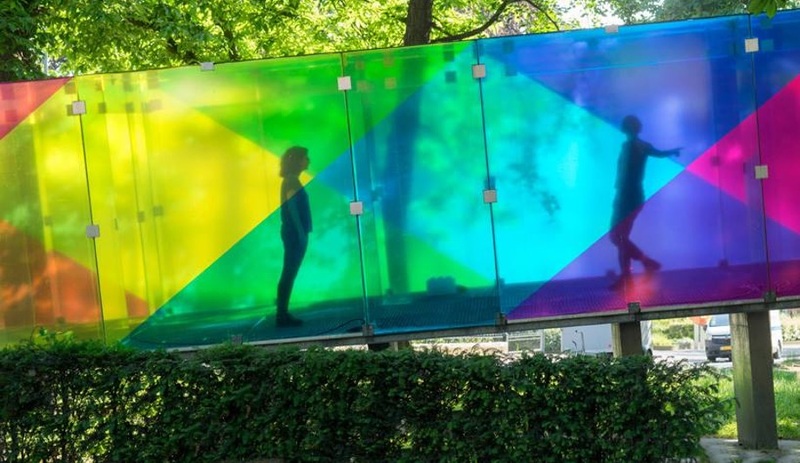 Retaining the transparency of Bernard Tschumi’s all-glass structure, the firm has wrapped it in angled strips of cyan, magenta and yellow film. 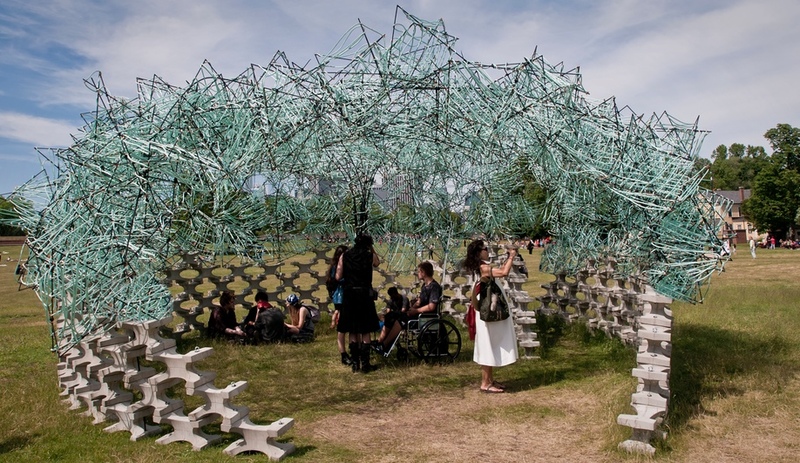 The crisscrossing combinations form a more geometric version of the effect seen in this year’s Serpentine Pavilion. 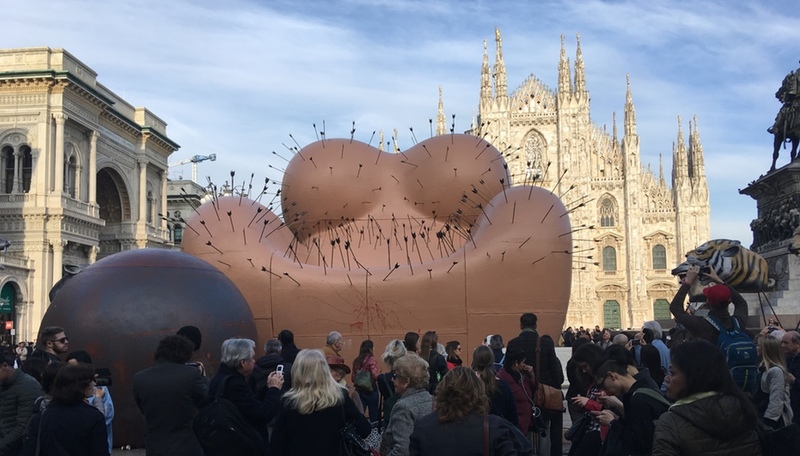 It’s on view until September. 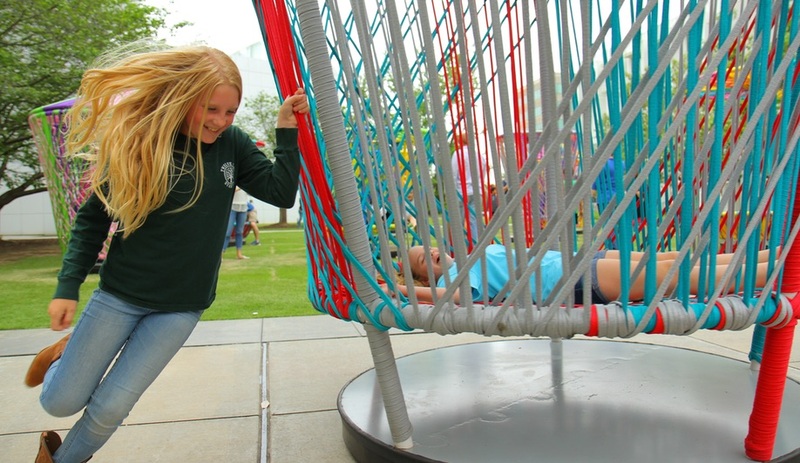 There’s a lot going on in New York this summer, including Olafur Eliasson’s epic Lego party on the High Line and MoMA PS1’s water-purifying COSMOS pavilion. And on Governors Island, there are two pavilions, rather than one, both of them winners of an annual competition. 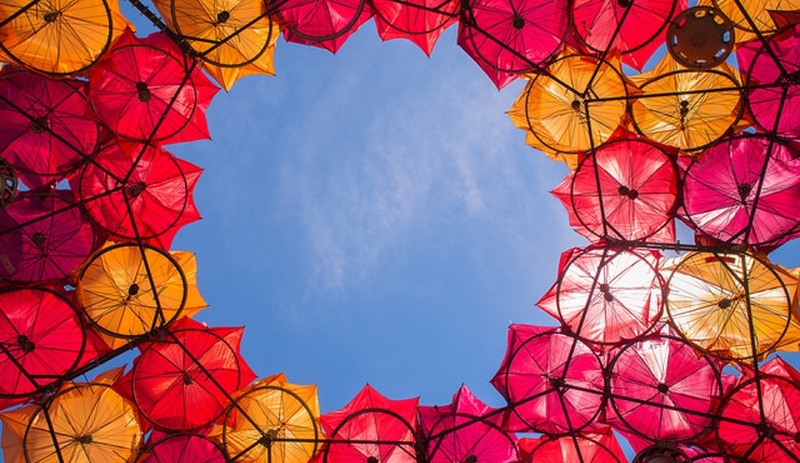 The colourful Organic Growth is made with broken umbrellas, old stools and damaged bike wheels, and was designed by Izaskun Chinchilla Architects of Madrid and London. 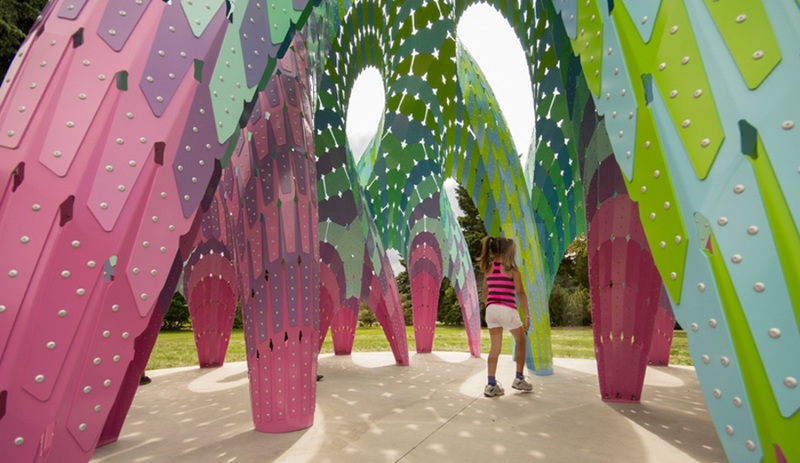 Billion Oyster Pavilion, by BanG Studio of New York City, features components that will be broken down to create shelters for bivalves that will be reintroduced into New York’s waterways. 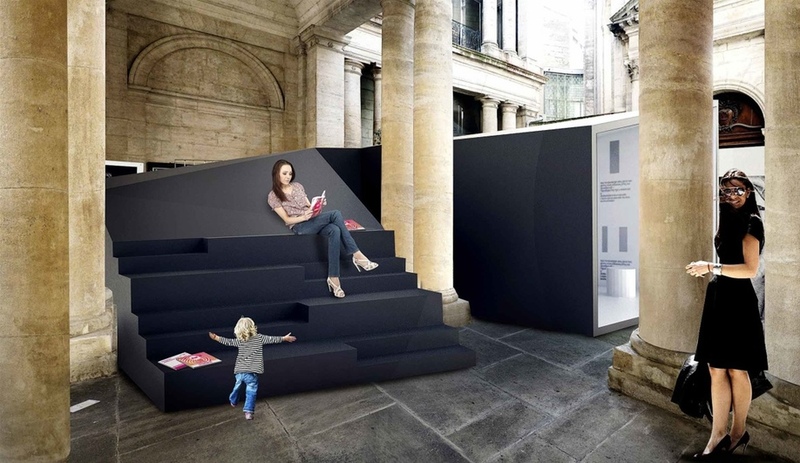 Festival des Architectures Vives, the annual landscape architecture festival in Montpellier, France, often invites an emerging firm to create a memorable pavilion in the courtyard of l’Hôtel Saint-Côme. 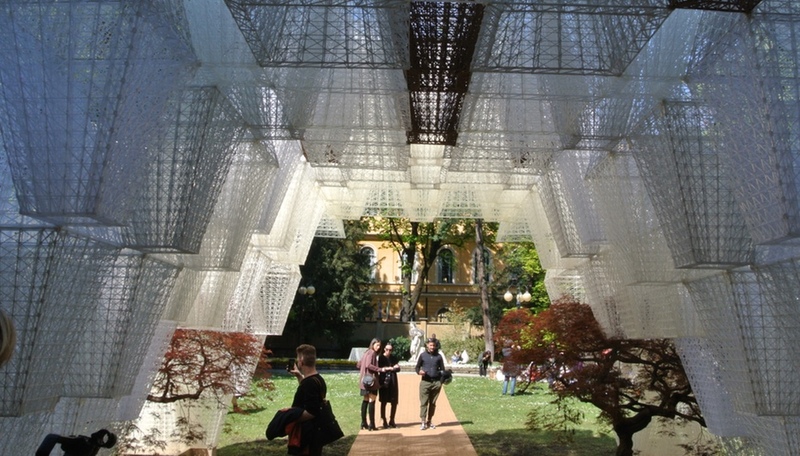 This year it’s chosen NAS Architecture, the two-year-old practice that created that shimmering mirror pavilion last year, to devise an installation that wraps around two columns. C’est magnifique!